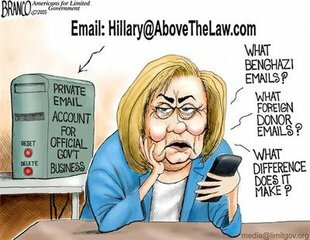 The United States Federal Bureau of Investigation has announced it is reopening an investigation of Hillary Clinton's use of a private email server. FBI chief James Comey made the announcement Friday, less than two weeks before the presidential election. The investigation concerns the Democratic presidential candidate's handling of email while she served as secretary of state. Comey sent a letter to several Republican congressional leaders. It said the agency has learned of emails that appear to be important to the investigation. He said investigators will examine them to learn if they have secret information in them and if they are important to the agency's investigation. Comey said he could not predict how long it will take to complete the investigation. Clinton led the State Department during the first term of President Barack Obama. A State Department official told VOA that "nobody knew this was coming." Speaker of the House of Representatives Paul Ryan called the development "long overdue." Republican presidential candidate Donald Trump told supporters Friday that he was happy about the news. He said he is glad the FBI will, in his words, "right the horrible mistake" it made in ending an earlier investigation into the emails. The FBI began an investigation into the emails in 2015. In July, the agency said there was no reason to charge Clinton. But Comey did say Clinton and her aides were, in his words, "extremely careless in their handling of very sensitive, highly classified information." The restaurant will reopen in November. Earlier this summer, the Secret Service and Federal Bureau of Investigation warned Barack Obama's and John McCain's campaign teams that their computer networks had been compromised by foreign hackers. This debate is long overdue. The bulk of the book concerns Sandy's two middle-aged children. 1.The investigation concerns the Democratic presidential candidate's handling of email while she served as secretary of state. 2.It said the agency has learned of emails that appear to be important to the investigation. I learn of their menu, their hours, whatever they want to put on their receipt they can put there. He was dismayed to learn of their disloyalty.